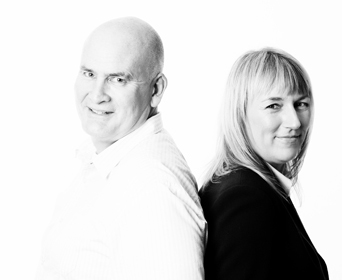 Mark and Nicky founded Opt2B as they believe that people are only restricted by the limitations that they place on themselves. They believe that by helping people to break through those limitations, people can create the lives that they truly want and deserve. Helping people to do this gives them both immense pleasure and satisfaction. Mark and Nicky believe that life is a journey and not a destination with the journey being about growing, learning and constantly changing. Like many others their journey began by reading self improvement books such as those written by Paul McKenna and Tony Buzan and whilst they found them inspirational, the information that they provided didn’t quite empower them enough to make the changes that they wanted to achieve. To further their self development, they went on an Neuro Linguistic Programming (NLP) course and finally found what they were looking for, realising that combining NLP techniques with Time Line Therapy™ and Hypnosis produced amazing results. They now live their lives by the presuppositions of NLP and utilise the many techniques that they have learnt to produce positive lasting change as they continue their journey. They are both very passionate and enthusiastic about the progress that they have made with their own lives using NLP, Time Line Therapy™ and Hypnosis and want to pass on these amazing techniques to other so that their lives can also be enriched. When not carrying out Coaching and Therapy work, Mark and Nicky train Practitioners in NLP Coaching, NLP, Time Line Therapy™ and Hypnosis. This gives you further reassurance of their knowledge and skill level and ability to bring about change. Certified trainer of NLP and Hypnosis. Certified Master Practitioner of NLP, Hypnosis and Time Line Therapy. Certified Practitioner of NLP Coaching. Mark worked for 29 years in the Public sector, the last 14 of which were spent in the design, delivery, evaluation and management of Adult training at a local and national level. During this time he discovered NLP and used successful interventions in order to assist others improve their performance in the workplace. He is passionate about Learning and Development and thinks that everybody has the necessary resources to break through the limitations that hold them back. Using the techniques of Coaching, NLP, TLT and Hypnosis Mark believes people can attain exceptional results and achieve their true potential.He continually strives for self improvement and is a member of CIPD, IfL and a Fellow of ITOL. He is continuing his NLP journey through the Tad James Master Trainer program. Nicky has worked in the Public sector for the last 24 years. Her career and personal life has always focussed on people’s personal and professional development. One of her most rewarding job roles involved her identifying people’s barriers to achieving success and assisting them in formulating self development plans in order to achieve their goals. She used coaching and what she now understands to be NLP techniques in order to bring about significant change in her clients lives. She has held a number of job roles that have involved her taking corporate responsibility, specialising in Change Management and Corporate Improvement. She is a qualified Project manager and her most recent role involves the management of a multi million pound project. On a personal level Nicky previously had her own business as an Image Consultant where she assisted in empowering her clients to overcome poor self image, giving them the confidence to achieve their goals. She is continuing her NLP journey through the Tad James Master Trainer program. After conducting extensive research Mark and Nicky chose to be certified with the American Board of NLP (ABNLP) American Board Hypnotherapy (ABH) and the Time Line Therapy Association (TLTA). They found that the world of NLP and Hypnotherapy is largely self-regulated with a number of Associations and Bodies setting up their own standards for membership and certification. They found the differing qualifications available such as Certificates and Diplomas very confusing. They discovered very quickly that there was a need for personal interpretation of the differing bodies and qualifications and that the choice would be down to aligning themselves with organisations that shared their values of excellence and vision of attaining the highest standards whilst assisting people to break free of their limitations. The ABH was founded in 1982 by Dr. A. M. Krasner, a world renowned Hypnotherapist. It has members all over the world, wherever Hypnosis is taught there is probably a member. 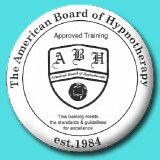 They have over 1000 institutes worldwide approved at the Trainer Level of Hypnosis, and tens of thousands of members. In 1995 The ABNLP was founded by Dr Krasner, as an adjunct to the American Board of Hypnotherapy and has functioned as its sister organization since then. 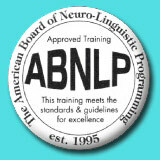 It has over 500 institutes worldwide approved at the Trainer Level of NLP, and thousands of members. They believe in NLP and Hypnosis as being most excellent ways of creating your own personal growth and development. Throughout the world the standards for membership levels are the same and high levels of excellence are insisted upon. They highly recommend Approved Institutes and guarantee that when you see the seal of the ABNLP you can be sure that this high level of excellence has been subscribed to by the Training Institute. 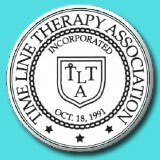 The Time Line Therapy™ Association was founded by Dr Tad James in 1991. It sets down the standards for Practitioners and Trainers certification with members having to follow a code of ethics and agree to maintain the integrity of Time Line Therapy™ techniques. Only Practitioners that are certified by the TLTA are allowed to advertise themselves using the trademarked techniques of Time Line Therapy™ beware of uncertified imitators.